Vino Volvoreta is a small family producer fifteen minutes outside of the town of Zamora, and was the first organic bodega in the D.O. Toro. Antonio Alfonso grew up making wine with his father, and now has passed on the winemaking duties to his daughter Maria, the youngest female winemaker in Spain. The estate farms 15 hectares of vineyards within their 100 hectares of organic property high in the sun-scorched hills of the region. The land is sublime. Forests, wild herbs, natural insects and birds; Volvoreta (Gallego for butterfly) works with all of nature to create their exceptional quality wines. A winery that has received a lot of press recently for their focus and dedication, they are sure to continue their growth in popularity with their single Toro wine. Toro is a wine region in Castilla y Leon, north-western Spain, known for its powerful red wines made from Tempranillo. 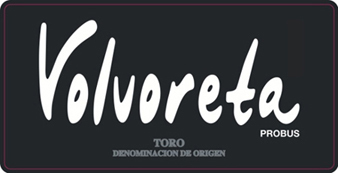 Wines made around Toro have been respected for many hundreds of years (viniculture here dates back to pre-Roman times). Toro's climate is continental - hot, dry summers followed by cold, harsh winters. Altitude plays an important role in Toro’s terrior. Most Toro vineyards sit at altitudes between 2000ft and 2800ft above sea level, which helps to cool the climate slightly. In terms of grape varieties, Tinta de Toro (the local form of Tempranillo) is by far the dominant grape variety. A tiny amount of Garnacha is also grown, mostly for use in Toro Rosado (the region's rosé wine), alongside small quantities of Malvasia Blanca and Verdejo for use in white Toro Blanco.